Although rock climbing is my favorite sport, my day job is that of a strength coach. At our facility, we train athletes of all walks of life, and the majority of what we do is strength training with weights. We also have a climbing gym at our facility, and we often get questions from our climbers on how much, if any, resistance training they should be doing. For the most part, I am reluctant to over-prescribe weight training for climbers. I think it’s too easy to confuse a hard workout with effective training. 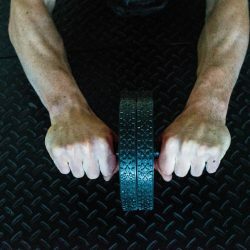 What’s more, adding strength to poor technique is simply a way of reinforcing that poor technique. With that being said, I will now outline which climbers should do supplemental strength training, when they should do it, and I will outline some basic programs. Looking at other sports can be a useful tool when it comes to knowing how to train climbers. The problem is many of us look to the wrong sports for comparison. Climbing is nothing like triathlon or distance running; it’s more like wrestling or gymnastics or even short-distance running. One of the most important lessons we can take from elite performers in sports similar to rock climbing is that there are no top-level athletes that just use their sport as conditioning for that sport. In this regard, rock climbers that don’t do supplemental strength training are about 100 years behind elite-level athletes in similar sports. This is evidenced by the fact that the best climbers of today can still perform at a world class level in multiple disciplines. Understanding that a maximum level of strength and power cannot be maintained even by doing the most intense climbing does not contradict the principle of specificity, but highlights it. The reason we do strength training outside the arena of climbing is because climbing’s multi-faceted nature doesn’t allow for sufficient focus on strength alone. When high levels of the sport are reached, training must become “partitioned” in order for the climber to advance. The hardest moves on rock simply cannot be correctly executed without sufficient ability to generate force. This is especially true for any climber who is not an under-30 male. Because of the hormonal profile of athletes outside this group, we recognize an even greater need to increase and maintain strength that cannot be achieved at the crag. 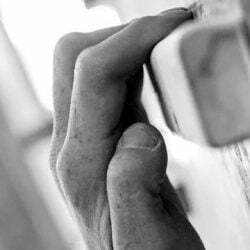 The mechanism by which supplemental strength training helps climbers should be understood. The basic idea is that for any given move, a stronger climber will use a smaller percentage of his maximum strength. Thus he’ll be better able to climb with technical correctness and will be more resistant to fatigue. Elite-level climbers rely heavily on the ATP-CP (anaerobic alactic) energy system, the energy that is present and most-readily available for muscular work. This system is best developed by increasing strength and power. Elite level climbers don’t rely as heavily on glycolytic (anaerobic lactic) metabolism, which allows for quicker recovery at rest stances and better day-long endurance. How much supplemental strength training is appropriate? Depending on the time of year, I like to see climbers do anywhere between 2 and 4 short strength sessions per week. During a preparatory or off-season period, building strength is a priority. Many athletes train strength at this time only to see decreases in strength as they move into a peaking or performance phase. With this in mind, we plan on maintaining some level of strength and power training throughout the year. Training that increases muscle size and strength can be useful, but building maximum strength for minimum size is the most important training goal. By careful planning, this is fairly straightforward. By avoiding hypertrophy, we create an increase in relative strength, making for a more efficient climber. Absolute Strength is the maximum possible force a muscle could generate. Maximal Strength is the maximum force that can be initiated in athletic movements, usually 70-90% of absolute strength. Finally, the Strength Deficit is the difference between the two. Strength training (some climbers are fond of calling this recruitment training) is the method of reducing this deficit. 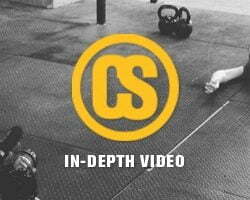 How do we train strength? We train with compound (multi-joint) movements through a full range-of-motion. We work at very high loads (no toning and firming here!). Most important, we train strength as an adjunct to developing the skills of the athlete. 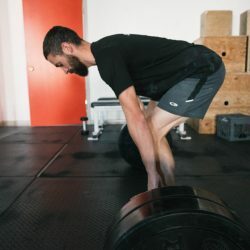 In part two of this article, I will cover the specifics of planning and implementing strength training in a climbing program. I will also go over the weight-training exercises best used by climbers, and why. Finally, we will review both why and how climbers must both increase strength and avoid any change in mass.